Just have fun and come play with us! Hello! I am Roberta from Prairie Fairy Designs. I am a digital stamp company featuring artwork not only created by me but also my two kids, ages 9 and 12. They are featured on the site as the Fairy Princess and the Prairie Prince. I have been an artist for as long as I can remember and have always loved to create. Two years ago my sister-in-law invited me to a rubber stamp party. I laughed and said "Maybe I will buy something if I can use it to stamp on canvases.". Needless to say, I was hooked! Two years later, a lot of learning about computers, and a few setbacks with web stuff (I am so not tech savvy!) I finally accomplished my goal. We have been around since the spring and still growing. If you have any questions about going digital, check out the site and the blog (www.prairiefairy.blogspot.com) for more information, tips and tutorials. So head on over to http://www.prairiefairydesigns.com and check it out! Along with this stamp set you will get one free digi from their store! Thank you so much Roberta!! For this weeks card I have used the Sunflower image from "priscillastyles" store! I love creating with sunflower images so this was a pleasure for me to work with. I wanted to do something different from your typical golden yellow sunflower. I had this most beautiful paper laying on my table and I let my creative side take over and make this in mauve. Four different Ranger distress inks were used in creating this image. The two pinks and the tea dye. I just sponged the tea die all over the image and then went on top with the pinks and the leaves were done with green. I placed crystal effects on the sunflower after it was dry. Seed beads were placed in the middle of the sunflower. 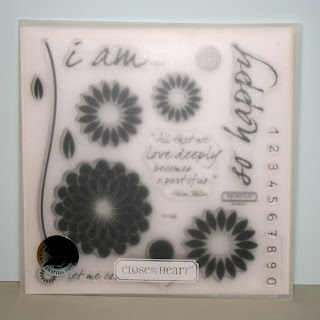 Spellbinders scalloped dies and the sunflower die were used in the creation of this card. Used my favorite embellishment...stickles as well. The gorgeous cranberry pearls are from my friend Gunn who sent me a delicious envelope with some really cool stuff to create with. I love these pearls-there are some unique colors and all different sizes for me to play with...THANK YOU Gunn!!!! Thank you for stopping by and taking a look at what I have created today. I really appreciate it. I hope you have a wonderful Labor Day Weekend with your families. HI Carol!! Your card is stunning!! I so love your mauve sunflower and the petal frame you created. YOu are so talented my friend and your creations are always stunning!! I hope all is well with you. Looks like you are keeping busy. Congrats on being coordinator for Priscilla's team, you are so deserving and would rock with it! She is so lucky to have you my friend. My goodness, Carol. This is the most beautiful card done with the sunflower image. Your design is so creative and stunning. Amazing colors. Adore what you did with the sunflower! Hi Carol, Love your card it is FANTASTIC. My husband was even peeking over my shoulder last night and pointed yours out..Hey said he liked the way you put the pedals behind the image. I appreciate you using my image and you have sure done a fabulous job. Thank you for all you do with the PSDT. Great take on the sketch. Wow, Carol! This is just amazing! Love the fun bright orange/pink colors, and all the great petals under the main image panel! Love, love, love this! Carol, this is gorgeous!!! I can't believe you have time to make such exquisite creations with all the "behind the scenes" work you have to do. I LOVE that you used non-traditional "sunflower" colors and I love the shiny gloss of the flower as well. love the sunflower and this time in a different color great. I would like to ditto all the words used above to exclaim the beauty of this amazing card. You have given us a true treasure of eye candy to feast on, your seed pearls are perfect in the center and your stickles definitely give it just the right amount of glisten! Just gorgeous Carol!! That is just breathtakingly gorgeous! Very pretty Carol, thanks for joining us at Digi Doodle Shops Best. This is stunning - it shows pink not mauve on my screen, but it is still delicious. You are a card-maker extraordinaire!! Oooh, I love seeing the details and layering Carol. This has more layers than I thought when I saw it on your SCS site. My gosh, it is ASTOUNDING. I think the mauve is beautiful and love the sparkle, shine and beads. AWESOME work my friend!! Your project is enthralling!! Your coloring is absolutely magnificent! 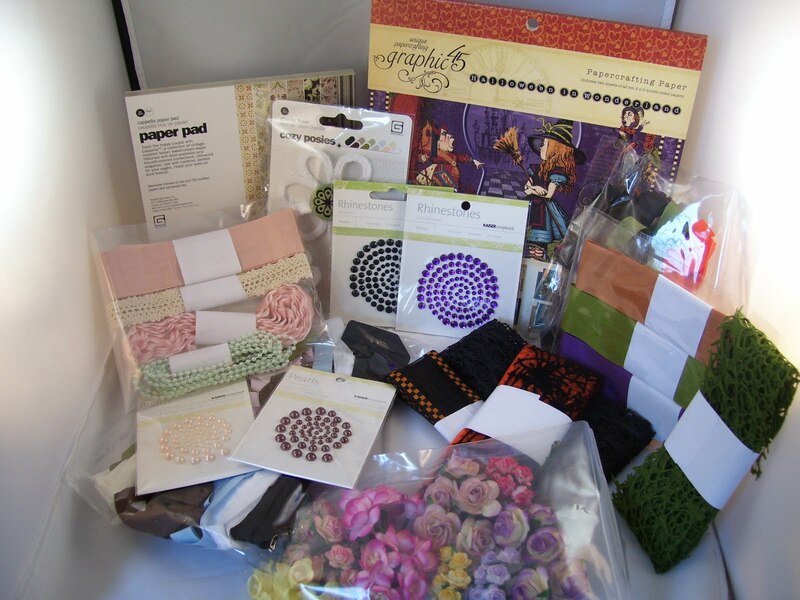 Thanks a bunch for distressing with us this week at Digi Doodle Shop's Best. Another beautiful card..sweet teddies and LOVE the mini CAKE!!! What a stunning card! Absolutely love every single lovely detail! Wow! Very beautiful. I love your style and your colors that you chose are always perfect together. AND wow on the punching. This is truly amazing! What a WOW factor, your colors are so rich and dynamic, love all the layers and detais. Just awesome! Carol, like always your post is wondeful and your pictures of your card are fantastic..Keep dong what you are doing. 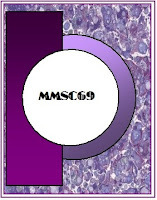 I am trying to make it by everyone's blog before I leave...I am really looking forward to having fun on the Cruise with you :) I just want to thank each of you for the excellent job you have all been doing with your MMSC cards. 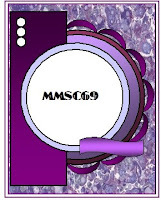 If you have not seen all the comments about them, please take a peek on the MM blog. People really love the teams work. As you know, I will be MIA and will most likely miss the next couple of your card post comments. I just wanted to let you know that I will be playing catch up when I return..LOL I wonder how many emails will be in ours inboxs LOL you know how chatty the MMDT can be :) Thanks again for everything you bring to the MMDT and for all the extras things you do for the MMSC blog, the PSDT and the teams. Thank you. I wanted to stop by and congratulate you on winning 1st place at Digi Doodle Shop's Best. WTG. Be sure to contact me at admin@digidoodleshop.com to claim your prize. Your 'creative side' never fails! This is so beautiful - the colors are perfection! Carol, another stunning beauty from you! The colors are gorgeous and your layering and seed beads such a pretty touch, oh and let's not forget the shine....WOW and WOW again! Just gorgeous. Thanks for sharing your sweet bears with us too...I love seeing them! Hugs and have a really fantastic cruise! Such a beautiful card Carol, gorgeous colours. Thanks for joining us at CES Challenges, hope to see you again this week. Very, very, beautiful card! You do awesome work. Thanks for joining us a t Crafty Card Markers. Carol, what a pretty card! I love these colors together and the embellishments just rock. GORGEOUS card - such GREAT attention to beautiful details! TFS! I also meant to say - THANK YOU for playing along in the Belli Challenge! This card is so beautiful! I love that you did not go yellow with the sunflower - it looks amazing in pink! Love all the layers, the sparkle and the shine! Beautiful! I wish you the best time ever on the cruise! I am green with envy, but think you so deserve a break. Have a great time! And have a tequila for me! Thats gorgeous Carol, must have taken ages to do with all the detals and cutting! Wow eeee! I LOVE this card, Carol! The beautiful colors, layers, textures and details, yummie! !